The traditional lock and key may have served for hundreds of years. But in the last half-century we’ve moved on to increasingly more sophisticated – and secure – card access systems. Tim Northwood, General Manager at Inner Range shares his expert knowledge on the latest options. Back in the Sixties, the first electronic access control solutions were introduced in the form of door-entry keypads, which users entered a unique PIN number to gain access. These basic systems helped eliminate the problem of lost keys and gave managers an electronic record of who was on site and when. Inner Range access cards include MIFARE DESFire EV2 chips. These offer excellent security, privacy and multi-application support. Our Sifer readers deploy 128bit AES encryption from the card through to the door module, providing a far superior level of security than traditional Wiegand based card readers. We now partner with biometric technology company, Zwipe, which means our customers can add fingerprint data to credentials and, crucially, continue to use their existing card readers. Zwipe’s biometric credentials eliminate unauthorized credential use, prevent loaning or borrowing of a credential, render lost or stolen credentials useless and allow you to replace PINs and passwords with your fingerprint. Customers don’t need to buy costly new readers. The system can use our encrypted Sifer readers and only stores the biometric data on the card rather than in a central database. 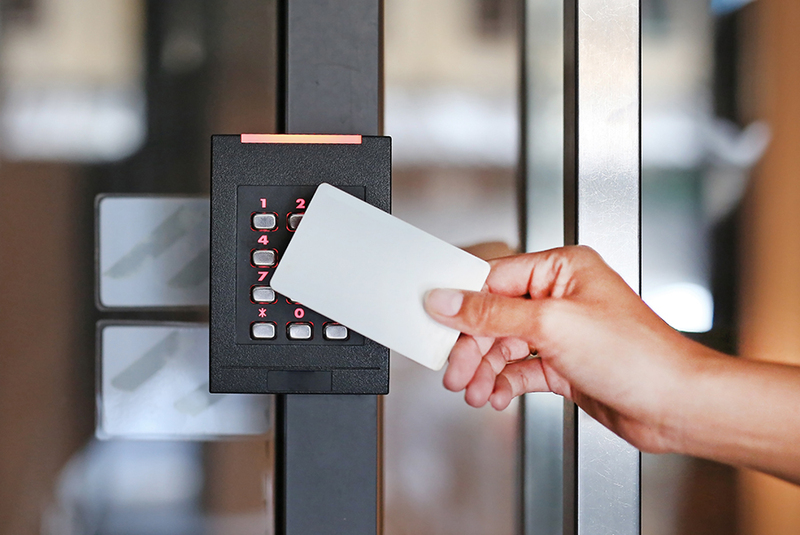 As well as their core security function, access card systems also enable a myriad of other useful activities, such as enabling access to computers, printers and lockers, or allowing cashless vending or parking. They ensure efficient visitor management because access cards can be pre-programmed to activate – and deactivate – at certain times and provide bespoke access arrangements depending on the visitor.Facilities managers can also monitor where access control cards – and their owners – are across the site at any given point. This information can be crucial in emergency situations, for example to check people are at muster points, or to locate first aiders. Access card systems can now be supplemented with credentials on smartphones or RFID bands. Using a smartphone means users have one less thing to remember and carry, while RFID bands are great for settings such as leisure centres and holiday parks where customers easily wear their ‘key’ to open doors, lockers and their accommodation.